Successfully Added 5MP Film Scanner - 2.4 Inch Display, TV Out, 32GB SD Card Support, Preview, Playback And Editing Features to your Shopping Cart. 5 Megaapixel film Scanner for converting your Monochrome, Slide and 35mm film into stunning JPEG images that you can store on a SD card or copy to your computer. This 5 Megapixel film scanner is just what is required for putting all those old slides and negatives on to your computer. 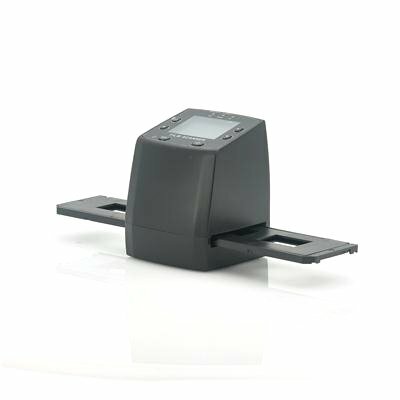 The 1800DPI will capture everything clearly with automatic white balance and great manual or automatic exposure control making it quick and easy to use so you can digitize those images in no time and bring them a new lease of life. 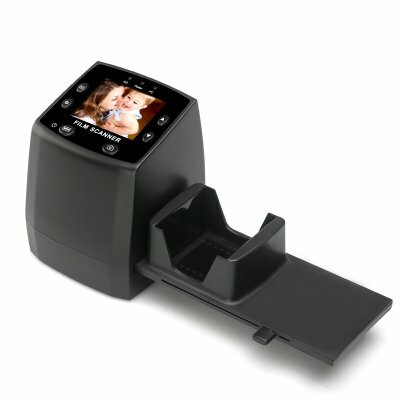 The 2.4 inch color display allows you to check the pictures as they scan and with the rapid slide feeder bringing your photographic archive into the digital age couldn’t be simpler. Dust of those family albums, get out the negatives and recapture the past with this amazing little gadget, it’s ideal for family reunions or if you would like to make digital presentations from your old negatives. The ability to edit preview and playback the images as well as output them onto a TV will allow you to clearly see the scanned data while you work or you may feel like an impromptu slide show of fond memories and forgotten times. This product is in stock now, we guarantee next working day shipping and offer a 12 months warranty on all our products. Brought to you by the leader in electronic devices and wholesale film scanners, Chinavasion. And a really good slide scanner, the standard resolution 5 MP but you can also set to 10 MP, The quality of the picture depends on the quality of the slides. In some cases, however, the brightness deteriorates.